Game is biased and is already filled with multi accounts to keep this game "alive" - meaning they wont get banned. There is a chance that player playing this game won't have the good feelings of achieving something in this game anymore. It is up to anyone to decide, if they see it worth to play this. I havent received any info what was wrong and against the rules in my profile text. Unfortunately that means that Mayxo may abuse the rules and noone will ever know why. - Everyone please be aware of this player. I therefore may only assume that my profile text got deleted because I was somehow "forcing" my idea to other players. Therefore I made new gender/idea/alliance neutral profile text to not offend anyone. You have been warned by Game operator ★ mayXo , reason: Your profile text has been found to be against our rules. You have 24 hours to correct this. Not doing so will result in further consequences. mayXo I am glad you want to get rid of me but comply with the rules of SGO and give me warning and delete the message. As I have not received warning in a long while this is the way you should do it. otherwise zorica I want to complain about the mentioned GO as he is not following the rules. Thats the story of Thraxx. 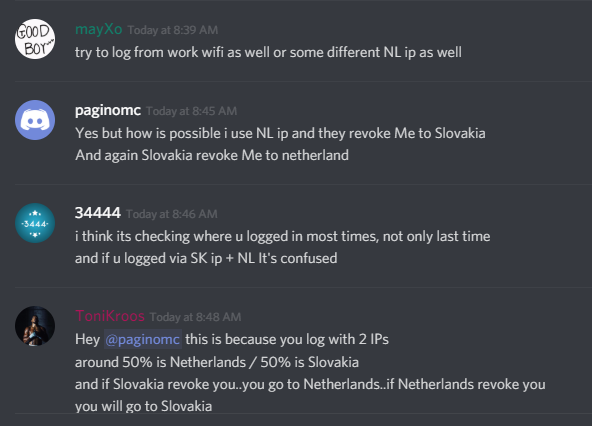 Old players who already left the game are used as his zombie army with his netherland/uk VPN IPs. Anyone who want to play this game fair should protest for him to be permanently banned immediately. Maybe you all can make a change - friend or enemy. GOs know this but wont act. Community need to say no to this. enjoy "script-free day" at e-sim while everyone adjust to https requests !! When I log once in few days I see a lot of alerts are spam from ★ 34444 articles. Unfortunately info he use is not from official API and he has it from a script crawler which need a logged in account to obtain that info. I must ask a question: If he violated this law already several times (like 10+), why is he still not banned for it ?